Salo is a town and municipality of Finland.It is in the province of Western Finland and is part of the Southwest Finland region. Step off the beaten path and head to Teijo national park and Ruukin kehräämö ja puoti Oy. Take a break from Salo with a short trip to Hiidenlinna & Sisumetsan Seikkailupuisto in Somero, about 1h 15 min away. And it doesn't end there: sample the tasty concoctions at Mathildedalin Kylapanimo, get some fabulous bargains at Muurla Design Marketing Oy, and don't miss a visit to Mathildedalin Ruukkitehtaat. For maps, traveler tips, ratings, and more tourist information, refer to the Salo online day trip planner . Copenhagen, Denmark to Salo is an approximately 8.5-hour flight. You can also drive. The time zone changes from Central European Time to Eastern European Time, which is usually a 1 hour difference. In July, plan for daily highs up to 24°C, and evening lows to 13°C. Wrap up your sightseeing on the 13th (Sat) to allow time to travel to Uusikaupunki. Deepen your sense of the past at sights like Uusikaupunki Old Church and Isokari Lighthouse. Museum-lovers will appreciate Automobile Museum and Bonk Museum. Change things up with a short trip to Katanpaa in Kustavi (about 44 minutes away). To find other places to visit, maps, photos, and tourist information, go to the Uusikaupunki trip planner. Traveling by car from Salo to Uusikaupunki takes 2 hours. In July, daily temperatures in Uusikaupunki can reach 24°C, while at night they dip to 13°C. On the 16th (Tue), wrap the sightseeing up by early afternoon so you can travel to Korpo. Nagu Church and Korpo Church are good opportunities to explore the local culture. When in Korpo, make a side trip to see Maritime Exhibition Sjofartshuset in Nagu, approximately 36 minutes away. For photos, reviews, traveler tips, and tourist information, use the Korpo trip planner . Drive from Uusikaupunki to Korpo in 3.5 hours. In July, plan for daily highs up to 24°C, and evening lows to 13°C. You'll set off for Rosala on the 19th (Fri). Start your trip to Rosala by creating a personalized itinerary on Inspirock. Traveling by car from Korpo to Rosala takes 4.5 hours. In July, daytime highs in Rosala are 24°C, while nighttime lows are 13°C. On the 22nd (Mon), you're off toKimito Island. Get in touch with nature at Archipelago National Park and Oro. Discover out-of-the-way places like Soderlangvik and Helsingholm Guest Harbour. For other places to visit, more things to do, maps, and other tourist information, you can read our Kimito Island online trip maker . Traveling by car from Rosala to Kimito Island takes 1.5 hours. In July, daytime highs in Kimito Island are 25°C, while nighttime lows are 13°C. Cap off your sightseeing on the 25th (Thu) early enough to go by car to Turku. You'll discover tucked-away gems like Uto and The Archipelago Trail. Get in touch with nature at Ispoinen Beach and Sauna and Vepsa Island. 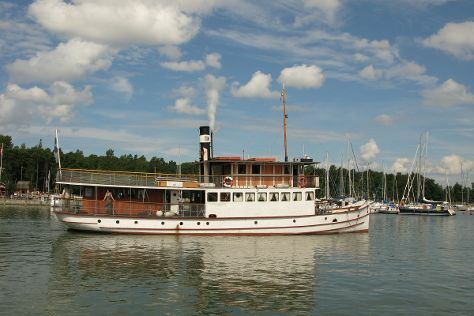 Explore the numerous day-trip ideas around Turku: Parainen (Pargas Church & Pargas Lime Stone Quarry), Vaski Adventure Island (in Naantali) and Louhisaari Manor (in Askainen). There's much more to do: examine the collection at Kylamaki Village of Living History, have fun at Adventure Park, get a tailor-made plan with Ett Hem Museum, and contemplate in the serene atmosphere at St Henry's Ecumenical Art Chappel. To find maps, other places to visit, traveler tips, and other tourist information, go to the Turku online trip itinerary builder . Getting from Kimito Island to Turku by car takes about 1.5 hours. Other options: take a bus. In July, daytime highs in Turku are 24°C, while nighttime lows are 13°C. Wrap up your sightseeing by early afternoon on the 3rd (Sat) to allow time for travel back home.